Transport the entire classroom to a cathedral and back before the bell rings. School auditoriums are heavily scheduled places. So trying to find time for your choral and instrumental groups to practice on stage can be difficult. The same goes when you are preparing for a special occasion in a large performance venue. Practicing in the dry environment of your rehearsal room can be limiting – unless you have VAE Rehearsal. 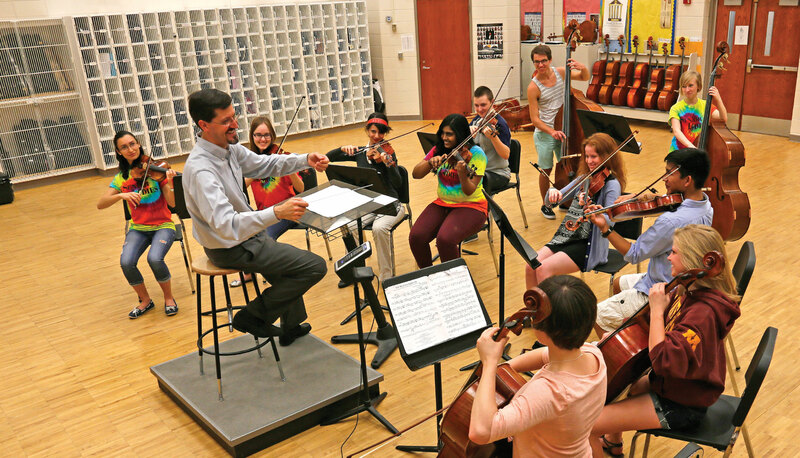 Easing the transition from the rehearsal to the performance environment allows students to focus more on the skills and habits they’ve developed in rehearsal and less on the unfamiliar performance space. VAE rehearsal comes with the same capabilities as all our VAE systems and includes the ability to be programmed to simulate the acoustics of your own auditorium. Wenger's new Virtual Acoustic Environment (VAE) technology uses highly advanced active acoustics to simulate nine different acoustic environments...all within the same rehearsal room...at the touch of a button. We can even custom program any of the nine presets to simulate other acoustic environments of your choosing. Practice Where You Perform – Musicians refine their skills more efficiently in the rehearsal room when they can realistically hear what they will sound like in the actual performance space. Nine Performance Environments – The musician can practice in a broad range of performance environments, ranging from a small recital hall to a cathedral. 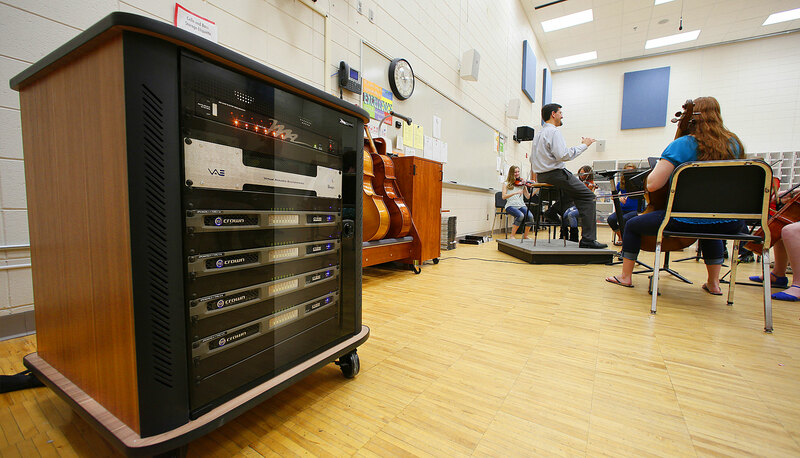 Record/Playback Capability – Record your practice session and get immediate feedback during your session. Or record your session and take it to your next lesson for review. Upload Capability – Upload accompaniments to practice with the rest of the group while in your practice session. From the beginning, part of my interest in the VAE Rehearsal system was the ability to have a “Wayzata Auditorium” setting. 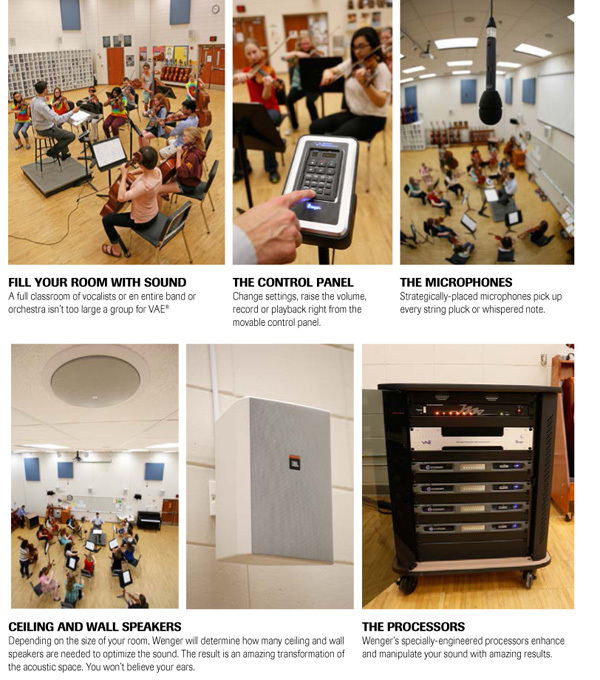 The Wenger acousticians and engineers measured the acoustic environment in our auditorium and emulated that in our rehearsal room, making a smooth transition for our young musicians. 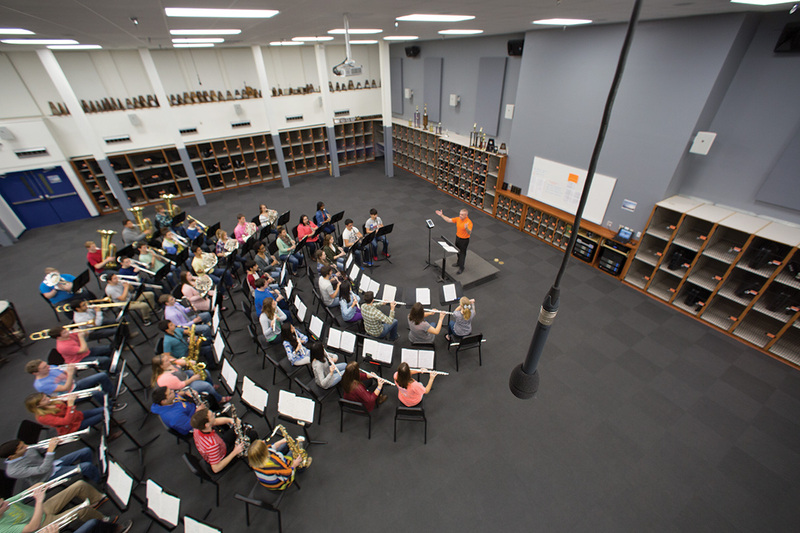 Now when we’re rehearsing in our orchestra room, we can feel like we’re rehearsing on our stage. Or we can choose an acoustically drier environment if we like. The VAE Rehearsal gives us many options.